University of Houston Libraries is pleased to host an Association of Research Libraries (ARL) Leadership Fellow this week. Michelle Light of the University of Nevada, Las Vegas (UNLV) visited the University of Houston as part of the ARL Leadership Fellows program, which is an executive leadership program designed and sponsored by ARL member libraries that facilitates the development of future senior-level leaders in large research libraries and archives. Among many activities during the course of the program, fellows engage in a customized, immersive experience with a library director. Light, who is the director of Special Collections & Archives at UNLV, followed the schedule of UH Libraries dean Lisa German, attending meetings and events, and speaking with Libraries staff as well as University faculty. Light also visited Rice University Fondren Library. University of Houston Libraries held a reception to celebrate the first winner cohort of the UH Alternative Textbook Incentive Program (ATIP). Faculty shared how they have implemented open educational resources (OER) at UH with the help of the grant. 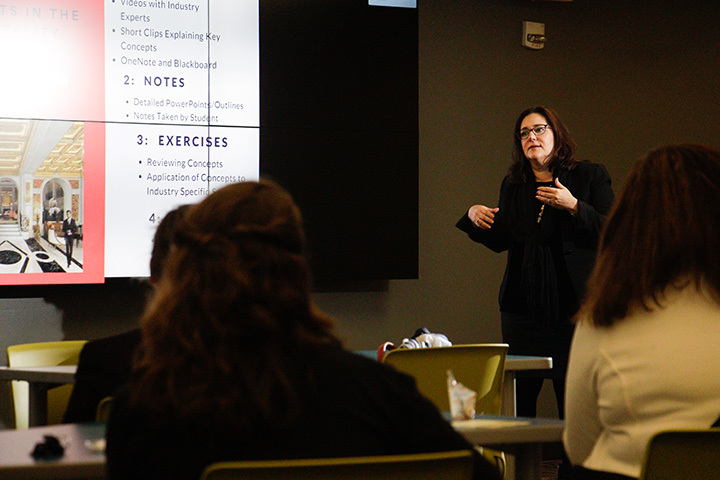 Arlene D. Ramirez, instructional assistant professor in the Conrad Hilton College of Hotel and Restaurant Management, speaks about implementing an open educational resource at UH. The William R. Jenkins Architecture and Art Library presents Amira Maruf’s Be A Lady on Friday, November 2. The William R. Jenkins Architecture and Art Library is pleased to present Be A Lady by student artist Amira Maruf. 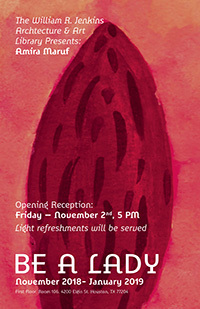 The opening reception will be held on Friday, November 2 at 5 p.m., with light refreshments. The exhibit will be on display through January, and is free and open to the public. Maruf is a Houston-based graphic designer and graduate student whose works explore 2D design to site-specific installations. She received a Bachelor of Arts in public relations with a minor in marketing from the University of Houston. During her undergraduate studies, she found joy in designing campaign collateral, which led her to pursue a Master of Fine Arts with a concentration in graphic design at UH. As a graphic designer, I use visual storytelling to exhibit social and environmental issues. With the heart of an anthropologist, my studies are heavily focused on the understanding of people and their interaction with the world around them. I am fascinated by the parts of history that are undocumented, for the uncertainty of the past offers opportunities for new discoveries. By analyzing time and space in relation to environment and culture, I actively look for new ways to encourage public engagement with issues that constitute against them. Inspired by visual artists such as Olafur Elision, Rana Begum, Rashid Johnson, and Candice Lin, my art and design practice questions diverse perspectives and seeks to find and exhibit hidden truths. Michael Galbreth presents the New Music America Records to UH Special Collections. A new acquisition at University of Houston Libraries Special Collections features correspondence, posters, programs, photos, and artwork documenting New Music America (NMA), a peripatetic festival of experimental music. The festival was, at that time, the largest new music celebration in the world. Its origin was New York City, and in subsequent years, the festival traveled to major cities across the US, landing in Houston in 1986. The collection is currently being processed at UH Special Collections. For questions about materials in this collection or to request access, contact Mary Manning. 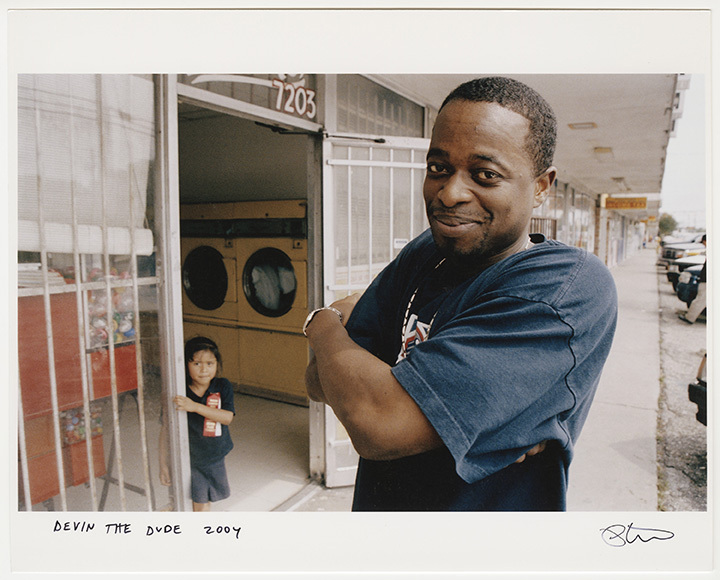 The Peter Beste “Houston Rap” Photographs collection is now available in the UH Digital Library. The collection comprises digital versions of 105 photographic prints created by documentary photographer Peter Beste as part of the nine-year project that became the book Houston Rap. Hip hop artists depicted include Scarface and Willie D of Geto Boys, Choice, Bun B and Pimp C of UGK, Devin the Dude, Paul Wall, Lil’ Flip, Z-Ro, HAWK, Trae, K-Rino, and others. Published in 2013 by Sinecure Press, Houston Rap was the joint creation of Beste and writer Lance Scott Walker. It documented Houston’s hip hop community, particularly rappers, DJs, and others from the Third Ward, Fifth Ward, and South Park neighborhoods. Its subjects are often shown in unguarded moments unlike those typically staged for hip hop videos or publicity photos. It also captures the landscape of Houston’s changing neighborhoods at a particular point in time. The original materials are available in UH Libraries Special Collections in the Peter Beste and Lance Scott Walker Houston Rap Collection, as part of the Houston Hip Hop Research Collection which documents the unique music and culture of Houston hip hop. Among its riches are approximately 1500 vinyl records owned by DJ Screw, originator of the “chopped and screwed” genre. The personal and business papers of other musical and visual artists are also represented. This collection captures the creativity and drive of the musicians, producers, visual artists, and entrepreneurs who built an independent music scene in this city which has influenced others around the world. University of Houston Libraries will host three events to promote open access and to highlight University initiatives related to open access. University of Houston faculty are invited to the Alternative Textbook Incentive Program (ATIP) reception in the Digital Research Commons to celebrate the first winner cohort of the program and to learn more about open educational resources (OER). How much did you spend on textbooks this semester? What was your most expensive textbook? Are you #textbookbroke? Stop by to share your answers to these questions and learn about UH’s textbook affordability initiatives: the SGA Textbook Exchange and the Alternative Textbook Incentive Program. UH Honors College faculty member Dan Price will give a lecture, “SAM (Houston on a First Name Basis) Achieving Granularity With Open Access Data,” open to students, faculty, and staff. 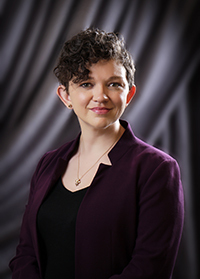 Emily Vinson, audiovisual archivist and curator of the KUHT Collection at University of Houston Libraries Special Collections, is the recipient of the Rooks Early Career Librarian Fellowship. The three-year fellowship supports a UH librarian in activities related to career development, such as professional memberships, conference fees, travel costs, research assistance, specialized equipment, and technology. 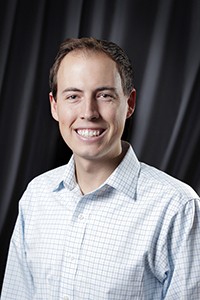 “I am so honored to have been awarded the Rooks Early Career Librarian Fellowship and grateful to Dean Rooks and Dr. Rooks for creating this unique opportunity at UH Libraries,” said Vinson. Vinson holds a Master of Science in information studies from the University of Texas at Austin, with a certificate of advanced study in preservation administration, as well as a Bachelor of Arts in history and art history from Tulane University. Prior to joining UH Libraries, Vinson was an archivist at Rice University’s Baker Institute for Public Policy, New York Public Radio Archives, and New York Public Library. The fellowship endowment was established by Dana Rooks and Charles W. (Mickey) Rooks, PhD. 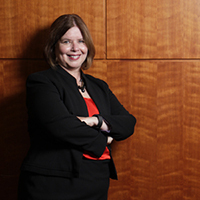 Dana Rooks served as dean of UH Libraries and Elizabeth D. Rockwell chair from 1997 to 2015. Charles Rooks joined the UH Cullen College of Engineering in January 2001 and served as director of the chemical engineering undergraduate lab. He also founded the Texas Diesel Testing and Research Center. 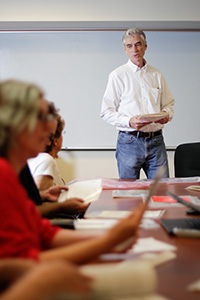 University of Houston Libraries welcomes Joe Lueck as the new coordinator of archival processing. I lead archival processing operations in UH Special Collections. In addition to managing and performing processing of records in all formats, I develop and implement policies and procedures for the preparation of archives and manuscript collections for research use and preservation storage. As coordinator, I hope to implement industry-standard processing procedures while developing innovative solutions for processing and providing access to physical and born-digital collections. I also hope to tap into the wealth of resources and personnel across the Libraries’ departments to promote online discovery of resources, research access, and physical and digital preservation of collections. Please share a bit about your background and interests. How do these inspire and shape your approach as an archivist? Prior to my arrival at the University of Houston, I completed my Master of Arts in history from Bowling Green State University and my Master of Science in information with a focus in archives and records management at the University of Michigan. At Michigan, in addition to conducting archival processing at the Bentley Historical Library and the Gerald R. Ford Presidential Library, I participated on a research team dedicated to teaching with primary sources and advancing collaboration between archivists and educators. This experience sparked an interest in user-oriented archival practice that I hope to build on and apply in archival processing at the University of Houston. As a newcomer to the University of Houston and University Libraries, I have been impressed by the notably collaborative nature of the departments and the staff. I am continually excited to encounter cross-departmental relationships, from committee service to simply eating lunch together, and look forward to collaborating with more of the staff professionally and socially. I am also impressed by the university’s clear commitment to growth and recent progress in institutional growth and development. I am thrilled to be joining the staff in a time of such notable growth and change. I am an avid cyclist. I have enjoyed riding along the Bayou Greenways in my time thus far in Houston and look forward to exploring more of the city and surrounding area by bike! A new acquisition in University of Houston Special Collections features posters, photographs, and playbills documenting the origins and renaissance of contemporary Latino community theater. 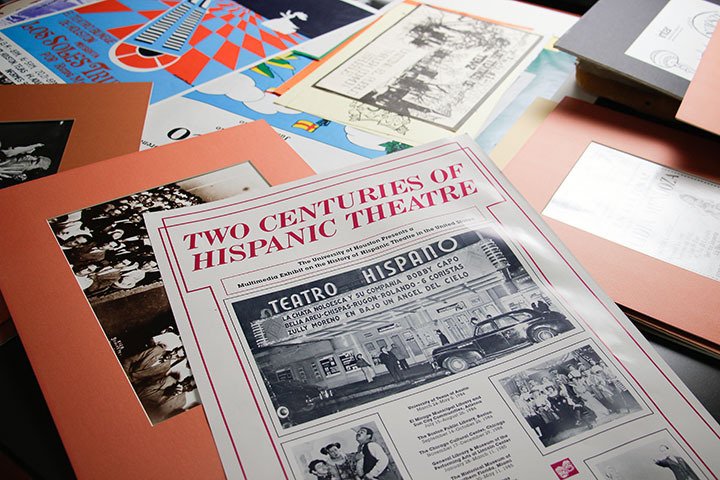 Approximately 150 items in the Hispanic Theater Collection were donated by Nicolás Kanellos, PhD, Brown Foundation professor of Hispanic Studies at the University of Houston and director of Arte Público Press and Recovering the US Hispanic Literary Heritage, in what is the largest known Latino theater collection. The primary sources created across the United States representing Latino literature, poetry, and theater were collected over a seminal period in history by Kanellos through personal and scholarly involvement. The collection will be on exhibit twice in 2019; a pop-up exhibition at MD Anderson Library on April 1 – 15 coinciding with Latino Art Now! 2019 Conference and again through the summer. Visitors can view the collection in the Special Collections Reading Room. For more information, contact Elizabeth Cruces, Hispanic Collections archivist.